It seems to go against human nature. Many of us like to see the underdog win. That’s why gamblers at horse tracks bet on the long shot and it’s why some of us pick low rated teams to win the NCAA tournament every March. The idea also applies to the stock market. Pulling for the underdog explains why some investors buy stocks trading near 52 week lows. They argue the stocks offer value but they are arguing with the market. Numerous studies have demonstrated the way to obtain market beating results in the long run is to buy stocks that are market leaders. With short term strategies, of course, it is possible to profit from market leaders or laggards. 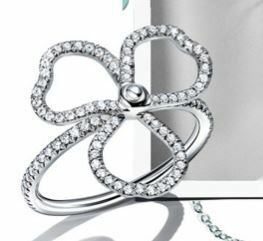 An example of a market leader is Tiffany & Co. (NYSE: TIF). The chart below shows that the stock was in an up trend prior to announcing its earnings. The stock pulled back in line with the broad market but was stronger than the broad market. The fact that the stock was in an up trend indicates there is a high probability of a strong earnings report. That’s simply because traders are making bets on the company based on their research. Hedge funds research stocks ahead of earnings report. They often consult with suppliers to learn what sales might look like. They have even placed individuals near stores to count the number of shoppers entering and leaving with bags. If their research hinted at bad news, they would close their positions. Tiffany’s up trend indicates they expected good news. And, they were correct. Analysts had been expecting earnings per share (EPS) of $0.84 according to Zacks Investment Research. The company delivered EPS of $1.14, much better than expected. On the sales side, analysts had been looking for revenue of $961 million for the quarter, again according to Zacks. The company reported revenue of $1 billion as same store sales increased by 10%, well ahead of the expected increase of 4.6% reported by Consensus Metrix. The company also raised its earnings guidance for the rest of the years. Management is now expecting the company to deliver EPS of $4.50 to $4.70 for the full year. This is up from previous guidance of $4.25 to $4.45 and well above the consensus analyst forecast of $4.37. Management also increased guidance for sales and now expects net sales to increase by a high-single-digit percentage, up from a prior view for mid-single-digit percentage gain. Traders reacted by buying shares and quickly pushed the price up with a double digit gain when the news was released. The next chart places the market action in a long term context. With a new high, Tiffany is most likely on track for additional gains. However, the stock’s large gain indicates risks are heightened. This requires accepting a great deal of risk if buying the stock. It also requires having significant capital to commit to the trade if the shares are bought. Many investors will be uncomfortable with high risk and others will lack the capital to take a significant position in the high priced stock. Options strategies can address both of these concerns. For TIF, a bull put spread could be opened with the June 15 put options. This trade can be opened by selling the June 15 $115 put option for about $1.35 and buying the June 15 $110 put for about $0.45. 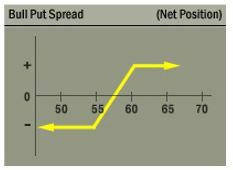 The maximum possible risk is the difference between the exercise prices of the two options less the premium received. For this trade, the difference between exercise prices is $5 ($115 – $110). This is multiplied by 100 since each contract covers 100 shares. The potential gain is about 21% of the amount of capital risked. This trade will be for about three weeks and the annualized rate of return provides a significant gain.